Scholarships were presented by (then) Commission Chairman Everett “Vic” Knight, left, and (then) Vice Chairman Thomas R. Lawing, Jr., to three brokers at the June Commission meeting. 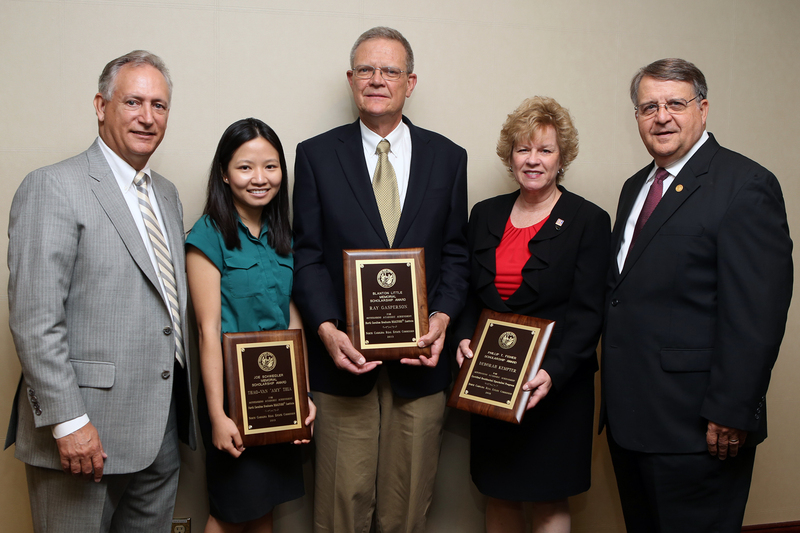 The recipients of the Commission scholarships, which honor former Commission Executive Directors, are (l. to r.) Thao-Van “Amy” Thai (Cary), the Joe Schweidler Memorial Scholarship; Ray Gasperson (Columbus), the Blanton Little Memorial Scholarship; and Deborah Kempter (Charlotte), the Phillip T. Fisher Scholarship. The Real Estate Commission congratulates the recipients on their achievements. 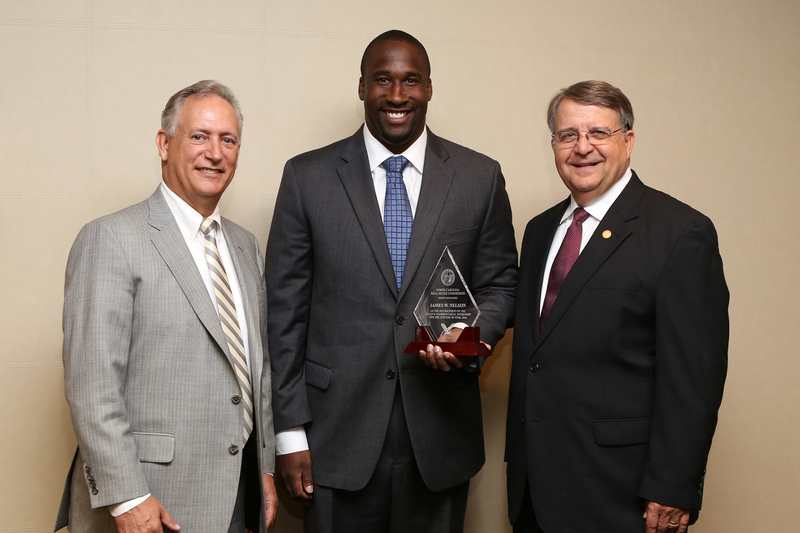 The Real Estate Commission congratulates James W. Nelson, a second-year law student at the Charlotte School of Law, the 2014 recipient of the Allan R. Dameron Legal Internship award. The Commission gives the award annually in memory of and tribute to former Commission Chairman Allan Dameron. The award was presented at the June Commission meeting by (then) Chairman Everett “Vic” Knight, left, and (then) Vice Chairman Thomas R. Lawing, Jr.